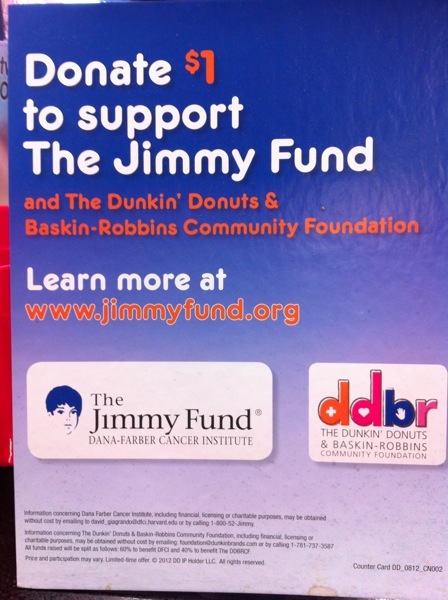 I ran across this register sign at my local Dunkin Donuts yesterday when I was picking up some donuts for the kids. The problem with register signs is they, well, just sit there. The cashier was nice enough, but never asked me to donate a dollar or even mentioned the program. Register signs, posters, banners, buttons are all nice, but if the cashier isn't asking the question, "Would you like to donate a dollar to ____________?" these other things really don't matter. Shoppers miss them or see right through them because they are looking at you!